Summer is typically the time for blockbuster movies to urge us to come in droves to dark, air conditioned theaters for a little escapism. In the spirit of history, I’ve selected three movies from my own vault to review that may help renew your interest in research and genealogy. Who knows, maybe some of your ancestors are even characters! To me, nothing epitomizes summer more than the Fourth of July. The buntings, banners, and burns of roman candles on fingertips. The Boston Pops and hot dogs. And, of course, the little matter of independence. 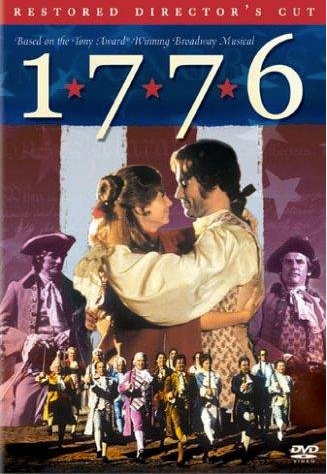 If you are looking for a movie to inspire your inner patriot, I recommend “1776” (1973). Based on the Tony award winning Broadway musical, this movie tells the tale of the inception, writing, and signing of the Declaration of Independence. Although it plays a little fast and loose with history (the Declaration was actually signed on July 3), the production quality is fair, and the dialogue is fairly contemporary, the performances are entertaining and vibrant. From the “obnoxious and disliked” John Adams (William Daniels, best known as Dr. Mark Craig in “St. Elsewhere, the voice of “K.I.T.T.” in “Knight Rider, and ‘Mr. Pheeny in “Boy Meets World”), to the hunky Thomas Jefferson (Ken Howard,) to the sublimely delightful Benjamin Franklin (Howard Da Silva), the founding fathers are brought to life through witty banter and catchy songs. Even if musicals aren’t your thing, the lyrics help to tell the story and paint a larger canvas of the struggles of General George Washington as he fights on the front for freedom, and the love story between Adams and his “dearest friend, Abigail (Virginia Vestoff), separated by the quest for freedom. The irritation grows as the temperature rises in the hot, stuffy meeting room in Philadelphia, as personal beliefs compete with representation expectations. Compromises are made, then taken back. 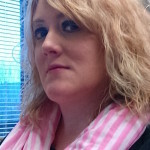 Anger flares among friends, and polite dislike quickly turns to disrespect. Though we know how the story ends, it is still a thrilling and interesting ride. I give “1776” four out of five stars for patriotism. And speaking of the Fourth of July, the irony of fighting a revolution so we could forget about England has been pretty rich as of late (Princess Charlotte, anyone?) 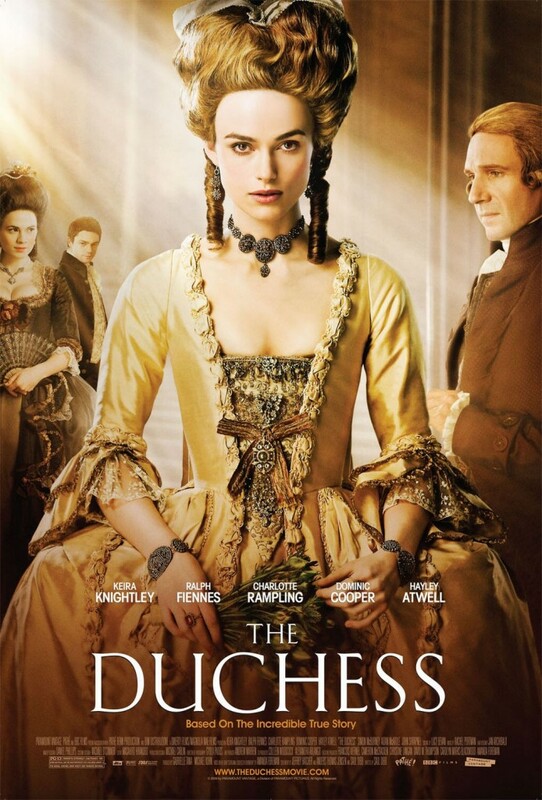 If you are an Anglophile, or fan of the British Royals, then “The Duchess” (2008) may be for you. Keira Knightly portrays Georgiana, Duchess of Devonshire, who’s 1774 marriage to William Cavendish made her a household name across the English countryside and though the streets of London. She was copied and heralded for her wigs, gowns, and political attitudes and loved by her countrymen and women. She even dared to nurse her own children, an act which was highly discouraged in members of landed gentry. But Georgiana’s marriage to the Duke (played to icy perfection by Ralph Fiennes) is less than a love match, and soon she realizes the heavy burden of being a public figure. If the Duchess’s story sounds familiar, the hints of current scandals are not misplaced. Over two hundred years later, an idealized royal would realize her life was much less of an ideal fairy tale, despite the love of the masses. Indeed, Diana, the late Princess of Wales, is a descendant of Georgiana, a fact which could be a sad footnote to a life many considered tragic. On a personal note, I found a Cavendish link in my family tree and have begun researching this line, which definitely increases my personal interest in this film. I give “The Duchess” three and a half stars for atmosphere. Taking a different turn, have you even wondered what life would be like if the South would have been declared victorious in the War Between the States? What would have become of Abraham Lincoln? How would we as a nation responded to World War I and II? These issues and many more are addressed in Kevin Willmott’s ambitious “C.S.A: Confederate States of America” (2004). Willmott, an associate professor of film studies at the University of Kansas, tackles this topic with frank dialogue and subject matter. The film is presented as a “mockumentary” which is produced by the “British Broadcasting Service”. It is being shown in the C.S.A. for the first time, despite the way in which the country is being portrayed to the rest of the world. The Confederate States are faced with the rise and fall of a political family akin to royalty, the fleeing of anti-slavery leaders to Canada, and the stunting of music and pop culture, all of which are met with chilling realism. Tying in actual photos, events, and historical figures with clever and creative alternative history, Willmott has created a compelling and engrossing independent film interspersed with moments of humor and humanity. It is worth noting, however, that this subject matter and language may be sensitive to some viewers, and discretion is advised. Though the acting may seem a bit overplayed, the overall story is well written and portrayed. 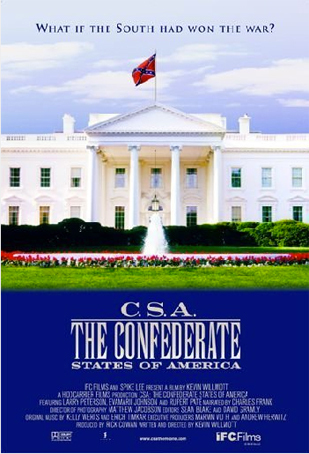 I give “C.S.A: Confederate States of America” four stars for creativity.